Tippy Toes| Ages 1.5-3 | Anything comfy enough to move in is great. Dancers usually wear leotards, tights & skirts (not required but lots of fun to wear!). Bare feet or ballet shoes are recommended. Parents/ caregivers, please dress in clothes comfortable for dancing. 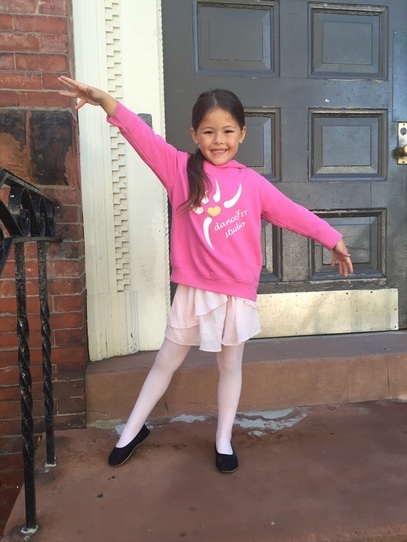 Pre-Ballet | Ages 3-4 | Pink ballet shoes are required. Dancers should wear comfortable clothing; Dancers usually wear leotards, tights & skirts. Pre-Ballet II | Ages 5-6 | Required: plain pink leotard (any style, no sequins or sparkles please! ), pink tights, pink ballet skirt, pink ballet shoes. Ballet I | Ages 6-7 | Required: plain black leotard (any style, no sequins or sparkles please! ), pink tights, pink ballet shoes (no skirts). Ballet II | Ages 8-10 | Required: plain black leotard (any style, no sequins or sparkles please! ), pink tights, pink ballet shoes (no skirts). Ballet I/II | Ages 7-10 | Required: plain black leotard (any style, no sequins or sparkles please! ), pink tights, pink ballet shoes (no skirts). Ballet/ Jazz | Please wear the ballet dress code that corresponds with your age. You may wear jazz pants with your leotard instead of tights. Ballet shoes required. Jazz shoes recommended for the second half of class, although not required. Ballet/ Tap | Please wear the ballet dress code that corresponds with your age. Ballet shoes required. Tap shoes required. Black pants, white t-shirt, white socks & black or white ballet shoes. Dancers Warehouse: This store is a ballerina dream! We love it! This fun store is located in Wellesley (directions). Please tell them Gina sent you! Our Online Apparel Store: We custom designed all the cute outerwear. 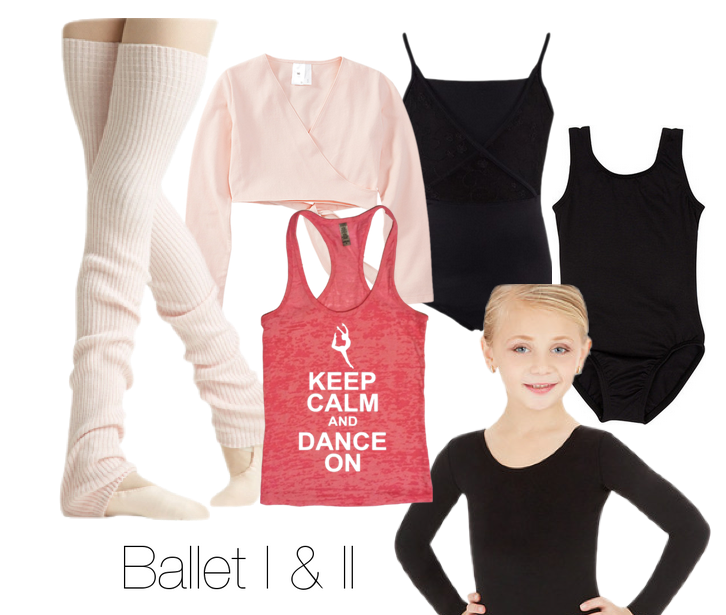 The hoodies are great for ballet class! Hair: All dancers with shoulder length or longer hair must wear it in a bun. Leg warmers & sweaters are permitted. Please label all belongings, including dance bags, with your child's name. Water bottles are recommended. Favorite dance looks we see in the studio!